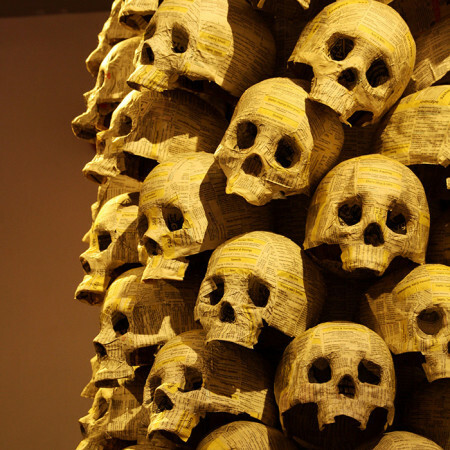 Yellow Pages Catacomb is a paper based installation which explores the phenomenon of obsolescence by manifesting it as a place. Obsolescence exists in our time as the dark shadow of innovation. As new technologies are discovered the old inevitably become untenable and are abandoned, often resulting in unforeseen socioeconomic consequences. By presenting one such obsolete form of media in the form of an ossuary, printed paper from the Yellow Pages telephone directory, this project creates a space where obsolescence can be contemplated.